The load balancer will be running on Layer 4 so the SSL connection is terminated on the Load Balancer. 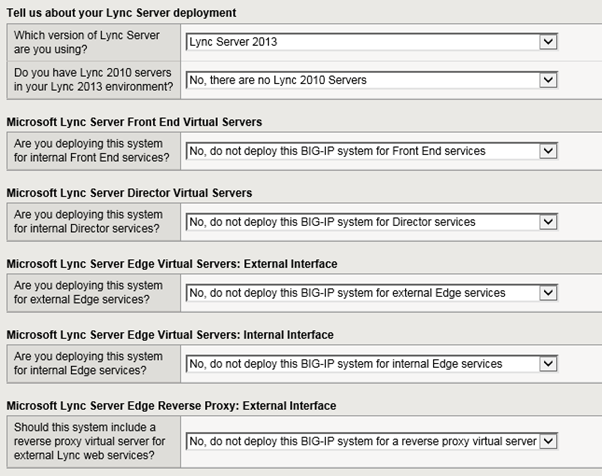 Therefore you need to import the SSL certificate that’s on the Lync 2013 Front-End server into the Load Balancer. To import this, open the F5 Management Console and navigate to System | File Management | SSL Certificate List. Click the Import button, select the PKCS12 (IIS) option, give the SSL Certificate an identifyable name, browse to the certificate and enter the certificate’s password and click the Import button. Download the template file and store it on your local hard disk. In the F5 Management Console navigate to iApp | Templates and click the Import button. Use the Browse button to select the template file that was downloaded in the previous step and click the Upload button. The template will be loaded and you can start configuring the VIP which is nothing more than answering a couple of questions. In this blog we’re only looking at the reverse proxy, so only the first question (the version of Lync Server) and the last question are important. In the last question select Yes, deploy this BIG-IP system for a reverse proxy virtual server. A couple of more question appear. Enter the IP address of the VIP (this is the external IP address), select the SSL certificate we uploaded in the first step, enter the IP address of the internal Lync 2013 Front-End server and enter the three FQDN’s we’re going to publish, i.e. 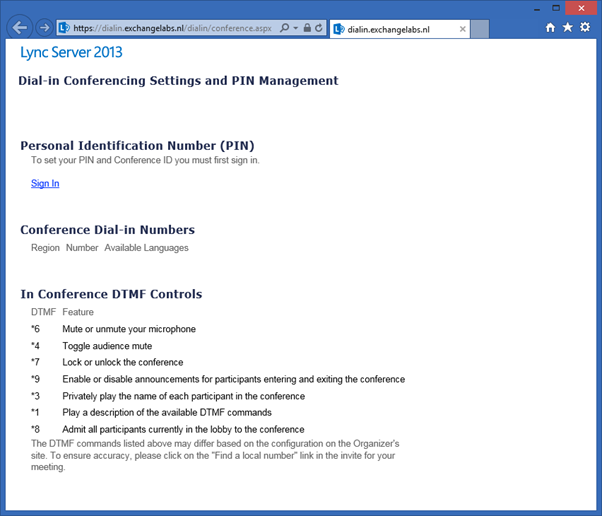 lyncweb.exchangelabs.nl, meet.exchangelabs.nl and dialin.exchangelabs.nl. Note. It can some time before the availability shows “Available”. Maybe you’ve noticed that there’s only one member added to the iApp and that there was no option to add another one. The reason behind this is that you should have a load balancer in the DMZ (doing the reverse proxy) and another load balancer in the internal network. 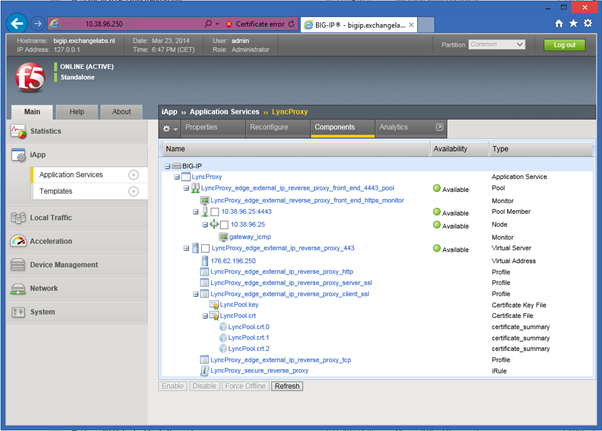 Check the F5 Deployment Guide (page 21) for more info. 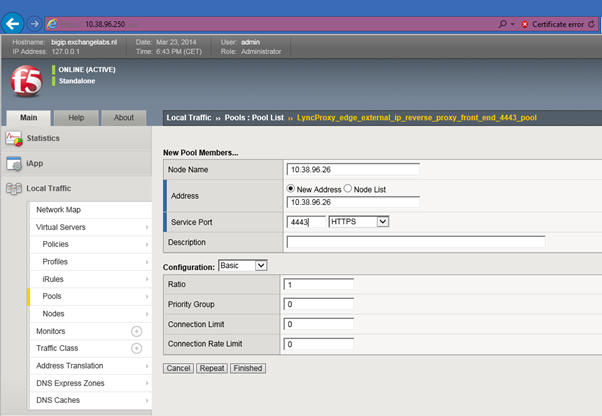 In this scenario the reverse proxy VIP points to the VIP of the second load balancer. Uncheck the Strict Updates check box and click Update. 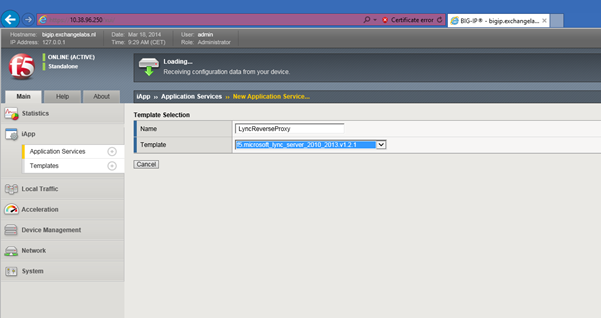 You can use the F5 LTM for reverse proxy functionality with Lync 2013. It is recommended to use the iApp template for this. This iApp template contains the optimal settings for the LTM. 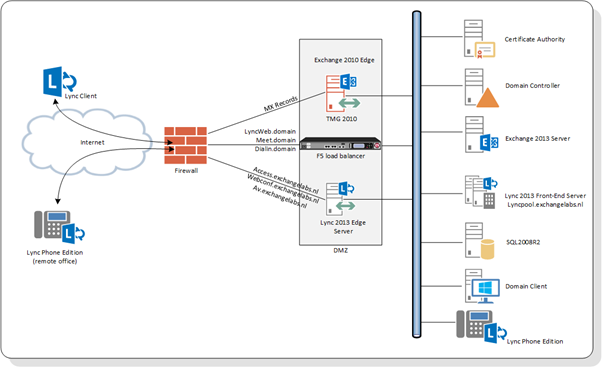 According to the F5 Deployment Guide you should have an LTM in the DMZ for reverse proxy and another LTM in the internal network for load balancing the Lync 2013 Front-End servers. If you don’t have load balancer in the internal network (of don’t want to use it) you can disable strict updates on the iApp and add a second member to the Reverse Proxy VIP. At this moment that’s still manual but this will be added to the Reverse Proxy iApp in the future. Can this be used for Lync mobility services? I mentioned this to a MS Partner Advisor and was told I also need IIS ARR. I haven’t tried this with a hardware load balancer, but I wonder why this shouldn’t be possible. I would definitely give it a try. Nice post Jaap. Do you know if you need a specific Big-IP module to do this or is the reverse proxying part of the basic license? Hey Cor, this reverse proxy is basic functionality, so no additional modules are needed. 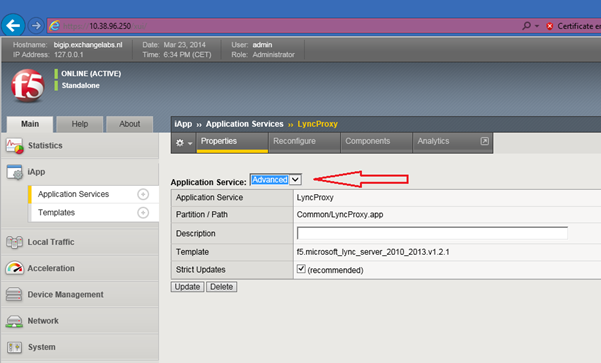 FYI, v1.3.0 of the Lync iApp lets you send reverse proxy traffic directly to the Front End servers instead of another BIG-IP, so you don’t need to disable strictness. It’s on downloads.f5.com.